There is no doubt as to how the Internet has fundamentally changed the way we do business. It has empowered buyers like never before. Today, they can find everything they want about a product or service they are interested in. They can run price comparisons and read through consumer reviews, before buying. The web has put buyers in control of the purchasing process; sellers can no longer easily persuade them through influencers or brand ambassadors. An inbound sales methodology recognises this. This is true of both B2B and B2C sales. Before the age of Internet, buyers relied on salespeople who would educate them on the details of the product and persuade them to make a decision. Lead generation came from outbound marketing and sales reps held power over the sales cycle because they had all the answers to the questions buyers wanted to ask, from product/service features to cost and incentives. This is no longer the case. The internet has changed everything. It has turned the relationship between the buyer and seller, upside down. Buyers have access to all the information they need about a product or service before they make a purchase decision. With just a click, they can find out the cost, features, reviews, ratings, deals and much more about the products they are interested in. The internet has brought a paradigm shift in the buying and selling process by shifting the power from the seller to the buyer. Old school sales skills are no longer relevant and an a new inbound methodology is needed. So what does inbound mean for sales? If you want to gain a competitive advantage over your rivals, you have to keep up with the demands and preferences of your buyers and adopt inbound selling. You need to cater to their changing needs by transforming your sales process. You need to adopt an inbound sales process. 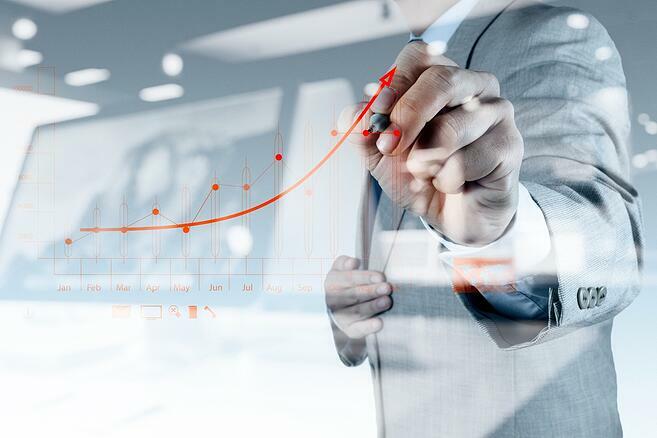 Whether your entire sales process depends on inbound leads or targeted outreach, whether you are a small start-up or multinational company, whether your monthly sales have generated enough revenue or not, an inbound sales methodology is what you need to adopt. Because, inbound sales can transform your selling process to match the empowered buyers of today! Let's define inbound sales: Inbound sales is about catering to the needs and preference of your market. An inbound sales representative engages with permanent and potential customers in a personalized way. The process calls for a focus on individual buyers, their personal needs, goals, pain points and frustrations. An efficient inbound strategy will first and foremost prioritize the needs of the buyer before the seller. Inbound vs outbound sales: Inbound sales is in direct contrast to telemarketing that relied on ‘cold calling’ prospects and making them buy, whether they are interested or not. Previosuly a salesperson would focus on making his point, without giving much thought to the need and preference of the buyer. In contrast, an inbound sales specialist shifts the focus from salesperson to the customer. The inbound sales process recognises the shift in power that has been brought on by the internet and how it has empowered the buyer. Since the buyer now has more control of the purchasing relationship and decision making, the role of the salesperson is to help the buyer in the different stages of their buyer journey. 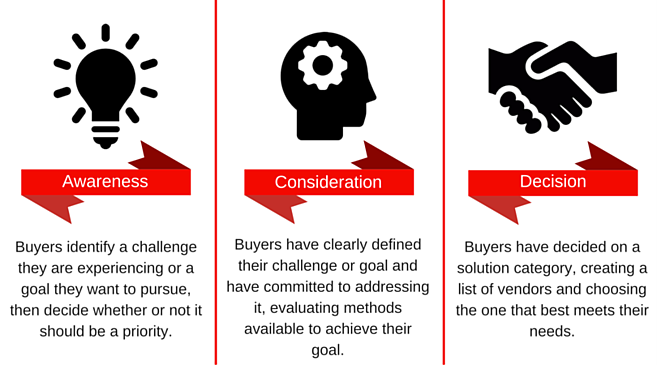 The inbound Sales model in directly linked to the buyer’s purchase journey. It is centred around providing the right kind of marketing content at the most appropriate time to influence the buyer and cater to his / her needs. The inbound sales model is predominantly digitally orientated and the first step in the process is to attract the customer, convert them by providing them incentives and then letting them make an educated purchase decision in your favour. This is how inbound marketing can work to generate sales qualified leads, building an inbound sales funnel. This stage is all about getting the attention of your potential customers. This is the awareness phase of the buyer's journey, where a buyer become aware that they have a problem. This is achieved by providing your buyers with informative and engaging content that your potential buyer instantly finds interesting. Good marketing content has the ability to deliver your buyers what they are looking for. An inbound salesperson makes sure that the content is relevant and insightful and offers value to buyers. At this stage little or no mention is made of the buyers product or service. It's all about providing help and advice. This phase takes the sales process a bit further and bridging the awareness and consideration phases. Inbound salesperson tries to build a stronger relationship with potential buyers. The focus is on increasing the trust levels between the two parties. This step also has an added bonus that helps identify customers that are very likely to turn into permanent buyers in the future. This step signifies the purchase decision taken by the buyer. An inbound salesperson waits for the buyer to take a decision instead of focusing on the personal target that he has to hit. He never pushes the buyer to this stage to make the purchase or else he might lose the deal. The buyer feels comfortable while making the decision. This is the stage where the salesperson can really add the greatest value to the buyer. The inbound sales manager recognizes the need to transform the sales process and personalize it to the buyer’s context. An inbound sales executive also recognizes the need to transform their sales strategy in its entirety and base it on serving the buyers, rather than their own interests. 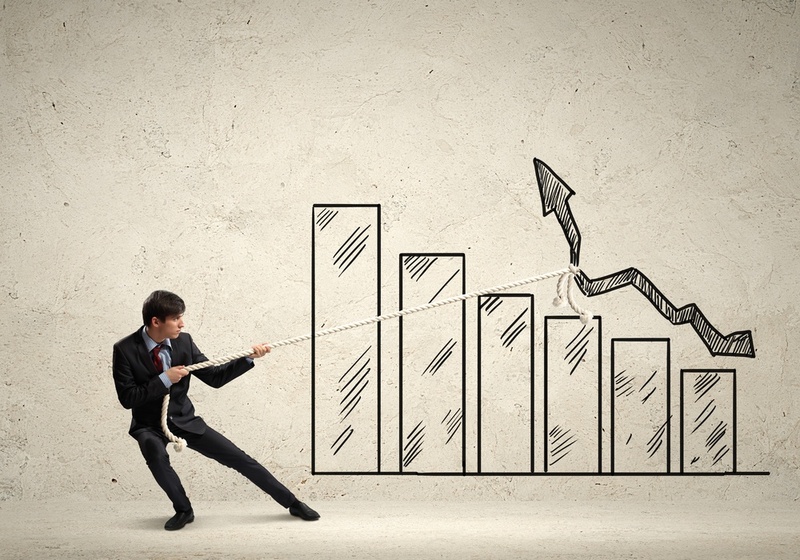 Inbound and outbound sales still have a lot in common. But an inbound salesperson begins sales process by prioritizing buyers who are active in a buying journey. They focus on building trust by engaging with buyers on a variety of platforms, for examples, blogs and social media. They kickstart their sales conversation using personalized messages that are related to buyer’s industry, role, as well as, contact preferences. They usually begin their first conversation with relevant advice and transition into an exploration mode, as soon as the buyer expresses interest. An inbound salesperson understand their buyer’s timeline and always adjust their sales process to match their needs. They make sure they deliver the right educational content to their prospect at the right place and at the right time. This is the sales process that buyers actually love. Inbound sales make use of a whole new approach. Here, a salesperson adapt himself / herself to the customer’s way of purchase. In order to meet the buyer in the right arena, a salesperson has to reach out to them at the right time and need to use different strategies that focus on customer, their needs, goals and challenges. A salesperson personalises their message, adapts to the buyer’s behaviour and finds out where they presently are in their buyer’s journey. A buyer’s journey starts whenever a potential customer experiences a problem or an opportunity. This is the very first stage that is known as the awareness stage which is followed by consideration stage. In the second stage, the customer gets an overview of all the different approaches they can deploy to resolve the problem. When that method or approach has been chosen by the customer, he / she reaches the decision stage. This is the phase where the customer usually ends up with a choice of 2 or 3 different suppliers. In order to benefit from inbound sales, your sales team must integrate it into their sales and marketing strategy. Inbound sales training is important. The following are some ways your company can adopt the best inbound sales techniques in its sales process. Your marketing department needs to understand your ideal buyer persona, as well as, the buyer’s journey. It has to create quality content that is based on and customized to cater to the different stages of the buyer’s journey. Delivering quality marketing content that offers value to buyers is key to succeed in inbound sales process and convert leads into customers. Before starting off with your sales process, you must first define who your customers are. Having detailed information about your target market is vital in a successful inbound sales strategy. Therefore, you must create buyer personas, that may be described as fictional representations of your target audience. It will help you to better understand the needs of your potential customers, as well as, their needs, challenges and goals. A traditional salesperson focuses on his / her own needs rather than the buyer’s. This provides very little value to potential customers. As an inbound salesperson, you need to understand the buyer’s journey. When a buyer acknowledges that they have a need, they will evaluate their options to fulfil their need and this is the phase where you should immediately step it. When you understand your buyer’s journey, you are in a better position to establish a sales process that supports your potential buyer through various stages. The result of buyer-oriented sales process is that after the conversation both the salesman and the buyer feel they are on the same page, rather than being at odds with each other. This is known as the inbound sales method. The first stage is when the buyer begins his journey. This is the time when they research and read content that appeals to them. At this stage it is very important to understand your buyers' persona and offer them content that helps them increase their knowledge in the field they are interested in. This is the second stage where the buyer has done good amount of research and acquire vital knowledge about the product or service he is interested in. A salesperson must conduct thorough research on the buyer before getting into contact with them. When you do get in contact with them, your approach must be one that helps the buyers rather than sells the product. Salesmen are notorious for looking after their own interests and making disinterested clients buy things that they don't need. Inbound sales vs outbound sales is all about listening to the needs of the buyer, understanding their problems and helping them by offering a solution. This is the stage where you can gain their trust by helping them out. When you succeed in identifying the buyer’s challenges, it is very important for you to act as a good adviser and let them reach a decision regarding the purchase. You must be an expert who can help customers solve the challenges they are faced with. Inbound sales is a vital strategy that your company needs to adopt in order to have an edge over your competitors. You must be able to add value beyond the information your potential buyer can acquire online. You must offer them product insights and deliver relevant, helpful content that solves customer’s challenges and establishes trust. In today's digital world when more and more power is being shifted from the seller toward the consumer, inbound sales teams must integrate inbound sales into their overall growth strategy and offer their target market a personalised service that caters to their needs.